Sermon for Armistice Day, 2014 – For the fainthearted . . .
We grow up with our own stories and traditions; when we are children it’s much easier to think in terms of good guys and bad guys. When we hear that reading from Isaiah, Isaiah’s vision of peace, when we hear about the wolf and the lamb feeding together; we know which one we are, we are the lamb, we are the victim, we are the good guys; the other side is the wolf, the other side is the aggressor, the other side are the bad guys. It is troubling when history is not straightforward. Growing up in England when memories of World War II were fresh and when colony after colony was becoming independent, there was no doubt in my mind that we were the heroes and anyone who opposed us was automatically a villain. I think if you went to any English pub you would not find many blokes who would differ from the view that the British were a decent lot who believed in fairplay. When it came to wolves and lambs and lions and oxen, then we were the lamb and the ox, we were the victims of aggression. Having grown up with this very clear version of history, it took some adjustment to living in Ireland, where, for most people, the British are not the heroes, but the oppressors in history. The Irish version of history is, understandably, very different from the British, the lamb in the Irish view is the Irish people and the British are the wolves. Even today, a solemn moment in the calendar, is a matter of controversy for those who don’t share the same view of history. On a panel programme on RTE television a few years ago, I was called imperialist for wearing a poppy—I was the bad guy for seeing history through my English eyes, I was the wolf in Isaiah’s vision. Division in the way we see history has meant that remembrance in Ireland has been something that has been divisive, something that has been used to exclude each other from history. As the years passed perceptions developed that certain sections of history belonged to one or other community. Most Protestants came to perceive the remembrance of the Easter Rising as something that concerned Catholics and most Catholics perceived commemoration of days like today, 11th November, Armistice Day, as something that concerned Protestants. Here in Mountrath that meant that, out of the forty-four men we remember this evening, there were ten names inscribed on the war memorial in the Church of Ireland church, and that many of the other names were forgotten. Sometimes people were deliberately written out of history. I remember doing a radio interview with a member of a marching band in the North who told me that on 1st July 1916, the 36th (Ulster) Division had bought Ulster’s freedom with their own blood; there was no comprehension that there were huge numbers of Catholics and Nationalists on the Western Front. Other times the exclusion has been a much more passive process, perhaps it has often been the case that we have excluded ourselves rather than anyone actively telling us that we have no part in this history. This process of exclusion meant that the complexity of the history of the Easter Rising and the War of Independence was overlooked and that the complexity of the history of Irishmen fighting in the British army was overlooked. Sometimes we got so accustomed to stereotypes that we began to believe them, we began to believe that there were firmly drawn lines and assumed that it must always be this way. Remembrance is not a simple matter and if we look again at Isaiah’s words to us this evening, we see that peace is no simple matter. There are no winners or losers in Isaiah’s vision, no-one is written out of the story, even the serpent, the worst of creatures, has a place in the scheme of the things. Isaiah gives us a starting point for understanding what is necessary for peace—everyone must be included. “I will create new heavens and a new earth. The former things will not be remembered, nor will they come to mind”, promises the LORD. Isaiah gives us the culmination of a peace process, a day to come when all the old hatreds and enmities are set aside. There are people who divide history, but, sometimes, there are also people who unite history. People like Tom Kettle who embodied all the contradictions and all the complexities of our history. Born in Artane and educated at Clongowes Wood school and UCD, he was the son of Andrew Kettle, a leading Land League activist. He became a barrister in 1905 and was elected Nationalist MP for East Tyrone in 1906. 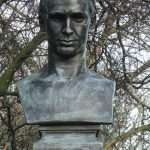 He resigned his seat in 1910 having been appointed to the Professorship of National Economics in UCD the previous year. He joined the nationalist Irish Volunteers on their formation in 1913 and was in Belgium to procure arms when the First World War broke out. He took a commission in the Royal Dublin Fusiliers, was dismayed by the Easter Rising and the subsequent executions, volunteered for active service and was killed at Ginchy on the Somme in September 1916. Remembering in the Bible is not about nostalgia, it’s not about digging up obscure facts, it is about who his people were in the present. So our remembering today is not just about the past, it is about understanding who we are now, it is about seeking a history for the future where no-one is excluded, where no-one is written out of the script. So much of our history has been about dismembering the past, about selectively reading history in order to strengthen our particular political position. To re-member can be about putting things back together; to put the members of our community back together as members of a single community, to put the elements of our history back together as a single history. 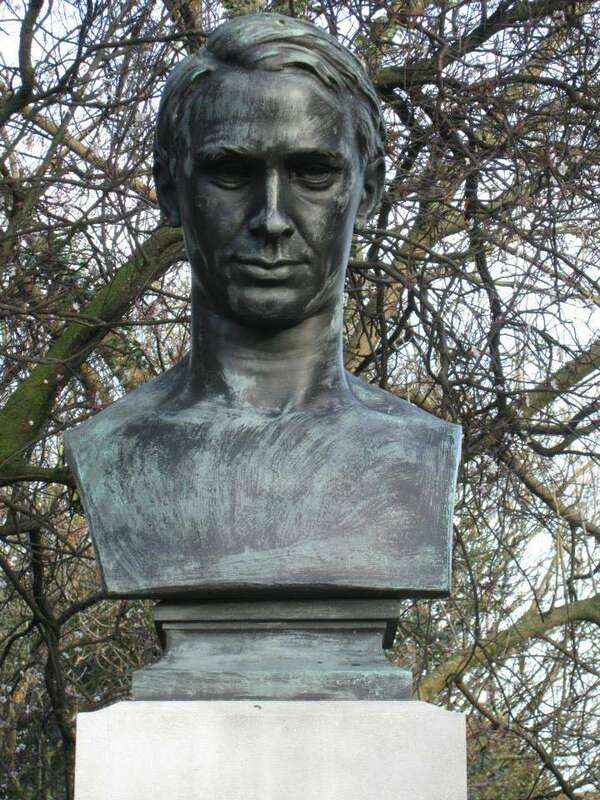 If I am in Saint Stephen’s Green in Dublin, I pay my respects to Lieutenant Tom Kettle, whose bust stands a few steps away from that of Countess Markievicz. Markievicz, the big house Protestant who fought in the Easter Rising, and Kettle, the Catholic Nationalist, who died on the Somme fighting for the British army; perhaps in remembering them both we can re-member, put back together, our history. History put back together would allow days like today to become days for the whole community. “The wolf and the lamb will feed together, and the lion will eat straw like the ox”; may Isaiah’s vision of peace find fulfilment in our own land.